Buddhism, Daoism and Confucianism: Science, Lifestyles or Religions? With the pace of everyday life nowadays permanently in hyper drive, more and more people are turning to alternative ways to relax and feel more at ease with the everyday surprises that come their way. In the pursuit of peace, happiness and ways to calm the mind, many people are stumbling upon the ancient eastern practices of religions such as Daoism, Confucianism and Buddhism. What draws people to these ancient teachings and more importantly...why do they stay? Credit: Photo Credit: <a href="http://www.flickr.com/photos/16230215@N08/6930361232/">h.koppdelaney</a> via <a href="http://compfight.com">Compfight</a> <a href="http://creativecommons.org/licenses/by-nd/2.0/">cc</a>Usually it seems that initially the biggest draw card to any of these eastern religions or philosophies comes with people realizing that how they are managing their lives right now...just isn't working. With many western cultures reporting increases to almost epidemic levels of mental illnesses such as depression, anxiety, panic disorders, agrophobia, eating disorders (the list can go on forever), things have got to change. People, when they are pushed to breakingpoint, realize that to find solutions to their discomfort, they may need to search along alternative avenues and pathways. Because of Buddhism's high success rate with relaxation techniques coming mostly in the form of meditation, many people turn up to Buddhist retreats, temples, information sessions and learn to meditate classes (much of which is free), to try and find ways in which they can relax. When they find out how well this aspect of the Buddhist teachings actually works, it is often the case that their new-found success, lights up a pathway that was previously darkened. People's curiosity is awakened, especially when seeing such peaceful wise monks and nuns smiling like the Chinese Buddhas with the big fat bellies that sit upon the lottery counters. If the relaxation techniques work well and people at these temples and Buddhist centres all seem so happy and relaxed, it's only natural people want to delve in even further. Buddhism is more than a religion. Hard to define, it also seems to fall into the categories of a philosophy, a lifestyle and even draws on some very scientific basic common sense. People like the "no hard sell" aspect, knowing that whatever religion you are, whatever your beliefs, whatever you have done or haven't done....everyone is always welcome anytime, to come and go as they do so please. There is no need to even label yourself as a "Buddhist". The whole aspect of this religion is peace. Just knowing all this takes away many anxieties and pressures. For those who decide they do really want to go the whole distance and commit themselves to becoming a Buddhist, there are many things they can learn, that read like a kind of instruction manual for living a healthy and happy life, starting with The Four Nobel Truths and The Nobel Eighth Fold Path....but that is the great thing about Buddhism, you don't have to do anything. In fact, even the teaching of basic Buddhist meditation relies on you having to not do anything. These also seem a little hard to pigeonhole into one category. Should they be recognised as a religion, philosophy or science? Drawing on many aspects aimed at improving your life and the lives of those around you in non invasive manners, all three of the eastern traditions draw on great thinkers, philosophers of sorts, and their findings and teachings aimed at leading life in the best and easiest ways we can. It's human nature that we have a need to classify things but does it really matter what they are as long as they work... right? Who Came Up With These Teachings? Credit: Photo Credit: <a href="http://www.flickr.com/photos/16230215@N08/5906140919/">h.koppdelaney</a> via <a href="http://compfight.com">Compfight</a> <a href="http://creativecommons.org/licenses/by-nd/2.0/">cc</a>Yes, that's absolutely correct. Buddhism is practiced in many different countries, and there are two main branches of Buddhism that most people will have heard of. Theravada (The School of the Elders) which is commonly practiced in Sri Lanka and south-east Asia, incorporating such countries as Cambodia, Laos, Thailand and Myanmar and the second branch of Buddhism being Mahayana (The Great Vehicle), which is mostly practiced throughout east Asia in countries like China, Korea, Japan, Vietnam and Singapore. It is the Mahayana tradition that incorporates other forms of Buddhism like Pure Land, Zen, Nichiren Buddhism, Tibetan Buddhism, Shingon, and Tiantai. Both of these branches of Buddhism (and their off shoots) are now found not only in Asia but all over the world. It is important to note that whilst the foundations of Buddhism stay the same, it is often the case that the different Buddhist schools, branches and different countries, are likely to have differences within their teaching methods and thoughts about what they think are the best ways to get you on the "middle way", the best way to obtaining a peaceful lifestyle. Even within small Australian cities you can find Theravada, Mahayana and some of its different streams such as Zen (Japanese based style of Buddhism), they all still work together and are all part of the Australian Buddhist Society, the only difference is that they approach things a little differently. What About Daoism and Confucianism? In Ancient China, Buddhism, Daoism (commonly known to western countries as Taoism) and Confucianism all butted heads a little. Nowadays many people find that mixtures of these three wise philosophies work extremely well. Credit: Photo Credit: <a href="http://www.flickr.com/photos/36615928@N03/3377137372/">easyflow</a> via <a href="http://compfight.com">Compfight</a> <a href="http://creativecommons.org/licenses/by/2.0/">cc</a>Daoism is already used a lot more in Western culture than you probably realise. Tai Chi (Gentle martial art exercise), Feng Shui (Designing your living spaces in harmony with nature), Chi Gong (The Art of breathing correctly and becoming internally balanced), and I Ching (The ancient divination method and famous "Book of Changes") all come from Daoism. 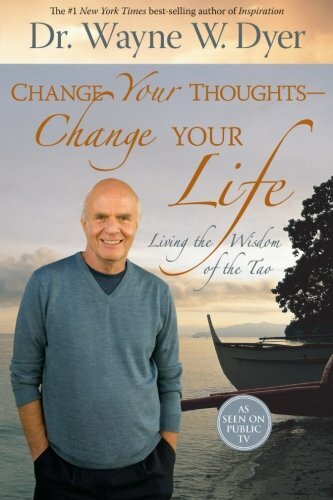 Daoism has also become even more popular within western society with the help of the famous life improvement speaker and author Wayne Dyer spending a good deal of his life "Living The Way Of The Dao", and consequently writing his take on the famous Daoist literature. Wayne still now incorporates much Daoism in his teachings on how to live a more peaceful life. Whilst it may be more difficult to find Daoist Temples compared to Buddhist Temples, there is a plethora of teaching materials available and many of the Daoist activities are surely situated around you to take part in, such as Tai Chi, Chi Gong and Feng Shui. Confucianism is less common and may be almost impossible to find active Confucianism groups out of China? Probably most known for all the wonderful famous quotes made by the great man himself, many people find just the wisdom of these sayings very helpful in understanding different ways to view life; however, unfortunately, as with the case of any philosophy and religion, people can sometimes take them to the extreme, and whilst I haven't seen this within Buddhism and Daoism, I have heard stories about Confucianism that see many Chinese people basically give up common sense logic to purely follow the Confucian life, some of which doesn't seem to kept its shelf life as well as Buddhism and Daoism has managed to do. Wayne Dyers interpretation of the Dao de Ching. A book that made positive changes in my life! In today's "Global Community", people are finding that the world has become a much smaller place. Technology has drawn us all closer together, can we now intertwine ancient practices to help balance our crazy chaotic lifestyles and draw a balance that makes life much simpler, peaceful, relaxing and beneficial for our health as well as our everyday living? Whether it comes in the form of a lifestyle change, relation techniques or spiritualistic and religious practices, these eastern traditions certainly have some big benefits. In fact with the basis heavily scientifically weighted, they seem even more particularly suited to our modern-day world, providing the balance we need to let go of stress and enjoy life.